Another new feature is the ability to track your material unit prices manually or automatically - previously, you could only temporarily override a material’s unit price only until new Expenses were added. 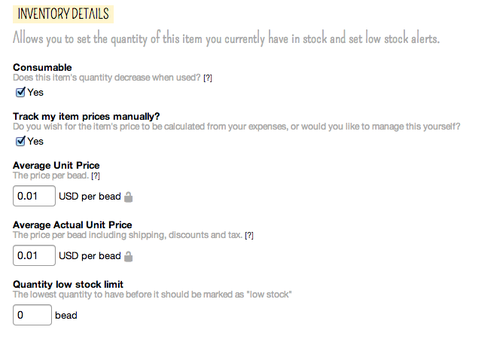 To set your material’s unit price calculation preference, you’ll now find a new checkbox on your edit page called “Track my item prices manually?” - selecting this checkbox will mean that you can set your unit price permanently, and any Expenses added for this material in the future will not impact on the unit price set. Can I set my average unit prices manually? Craftybase now supports Etsy Direct Checkout!